While I was on a roll, I took a framed embroidery by my mother apart. 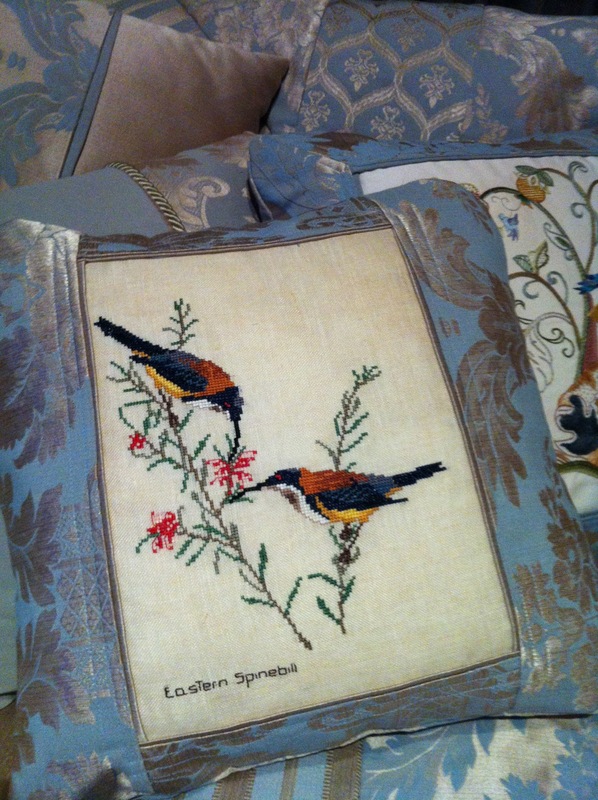 The embroidered birds on linen cried out for a new life. So I made another cushion! !